Prof. Dr. Gönül Tekin graduated from the Turcology Department in the Faculty of Letters at Istanbul University in 1961. From 1962 to 1963, she worked as an assistant at the Department of Turkish Language and Literature at Atatürk University. From 1963 to 1967, she pursued her doctoral degree with Prof. Andreas Tietze, Prof. Yonos Eckman, Prof. Emin Benanı, and Prof. Von Grunebaum at UCLA. 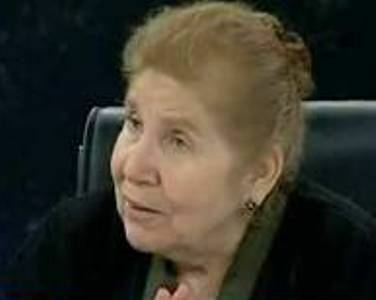 In 1968, she returned to Turkey and completed her doctoral degree with the dissertation “Al Şir Nevai’nin Ferhadü Şirin.” In 1970, Tekin started serving in the Department of Turkish Language and Literature of Hacettepe University. She married Prof. Şinasi Tekin in 1967 and moved to the US. She taught Ottoman, Çağtay and Ozbek Language at Harvard University between 1984 and 1994. She received a title of Associate Professor in 1985 in Turkey. 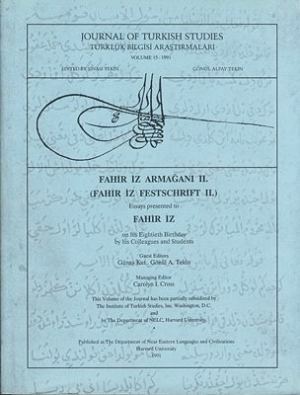 From 1978 to 2004, she edited and published Journal of Turkish Studies / Türklük Bilgisi Araştırmaları (TUBA) with Prof. Şinasi Tekin. In 1996, she founded the Ottoman Studies Foundation with Prof. Dr. Sinasi Tekin. After the death of Prof. Şinasi Tekin in 2004, Prof. Dr. Gönül Tekin continues to edit and publish the journal. She has published four books and numerous articles in many journals and magazines. Feyzı Çelebi, Şem′ü pervane. The Department of Near Eastern Languages & Civilizations Harvard University, 1991. Ahuned-i Da′i, Çeng name. The Department of Near Eastern Languages & Civilizations Harvard University, 1992. 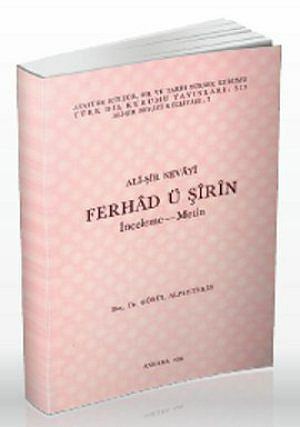 Ali-Şir Nevayi, Ferhud ü Şirin. Ankara: Türk Tarihi Kurumu, 1994. "XIX. Yüzyil Özbek Edebiyatına genel bir bakış." in TDAY (1973-4). p. 255-268. "Ceng name′de Musiki Terimleri.” in DTC Falsefe Dergisi. c. X. Ankara, 1976. "Zaifi Külliyatının yeni bir nüsahası hakında." in JTS/TUBA (1978), pp. 107-125. "Ali Nihad Bey′in hayatı." in JTS/TUBA (1978), pp. 31-35. "Ali Nihad Bey′in kişiliği." in JTS/TUBA (1978), pp. 36-49. "Hamdullah Hamdi′nin yeni bir Leyla ve Mecnun nüshası ve metin tenkidi hakkında bazı düşünceler." in JTS/TUBA (1979), pp. 207-242. "Beş Trabzon masalı ve bir tahlil denemesi." in JST/TUBA (1981) pp. 99-130. "Mevlana-Yunus Emre ve Ahmed-i Da′i′deki Musiki Aletleri ile ilgili semboller üzerine düşünceler." in JTS/TUBA (1983), pp. 439-451. "Seyfelmüluk ve Bediül cemal hikayesinde Eski Yakın doğu Kültüründen kalma unsurlar hakkında." in JTS/TUBA (1985) pp. 277-300. "XVI. Yüzyıl Çagtay Şairi Meclisi′nin Seyfelmüluk Adlı Mesnevisi ıtakkında." in JTS/TUBA (1987), pp. 123-132. "Feyzi Çelelbi′nin Şem′ ü Pervanesi." in JTS/TUBA (1991), pp. 1-157. "Camas b-Name hikayesindeki yılan sembolü." in Meral Alpay′a Armağan. Istanbul, 2007. pp. 267-290. “Divan Edebiyatındaki Bazı Moiflerin Mitoljik Kökenleri." in Festschrift in Honer of Cem Dilçin, JTS/TUBA, Part II (2009). "The Seyfelmüluk- Bediül Cemal story and its ancient Near Eastern origin." in Wiener Zeitschift für die kunde des Morgenlandes, Festschrift Andreas Tietze. Wien, 1986. "Selvi ve Su." in Oriente Moderno Instituto Per L’Oriente C.A. Nallino XV (LXXVI) 2 (1996).